For internal use only, It is not suitable for hairdryers,curling irons, flat irons, or high-powered electrical appliances. DUAL USB CHARGING PORTS - World Adapter Plug compatible with almost all USB Devices like Apple iPhone x 8 8 plus 7 7s 6 6s 5s 4s, Sony, Blackberry, HTC, Lenovo, LG, ZTE, Huawei, and so on. 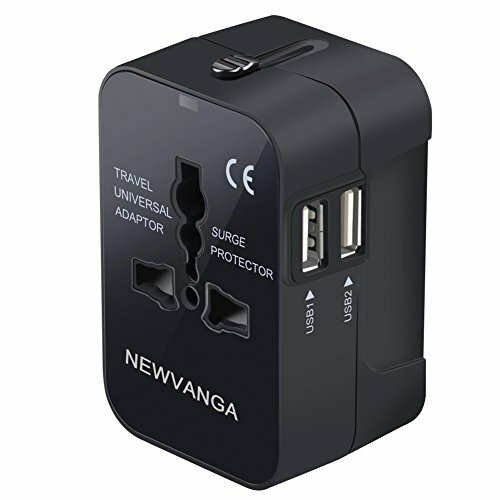 If you have any questions about this product by NEWVANGA, contact us by completing and submitting the form below. If you are looking for a specif part number, please include it with your message.